The tradition of running the Allstate Sugar Bowl Crescent City Classic 10K is meaningful to people throughout the region for many reasons; however, it's most meaningful to the charities that benefit from its annual Saturday foray on the streets of NOLA. Non-profits that would like to apply to be a partner for the 2015 race, your deadline was just extended until August 15th. After successfully raising more than $350K for 10 local charities during the 2014 race, organizers are hoping to increase that donation total to $500K in 2015. In order to do that, the race must choose eligible non-profits during this selection process. Each organization is given 100 race bibs to allocate to runners who commit to raising at least $200 each leading up to race day. Those fundraisers receive extra perks that include a special shirt, custom bib, and exclusive start/finish line amenities during their run. 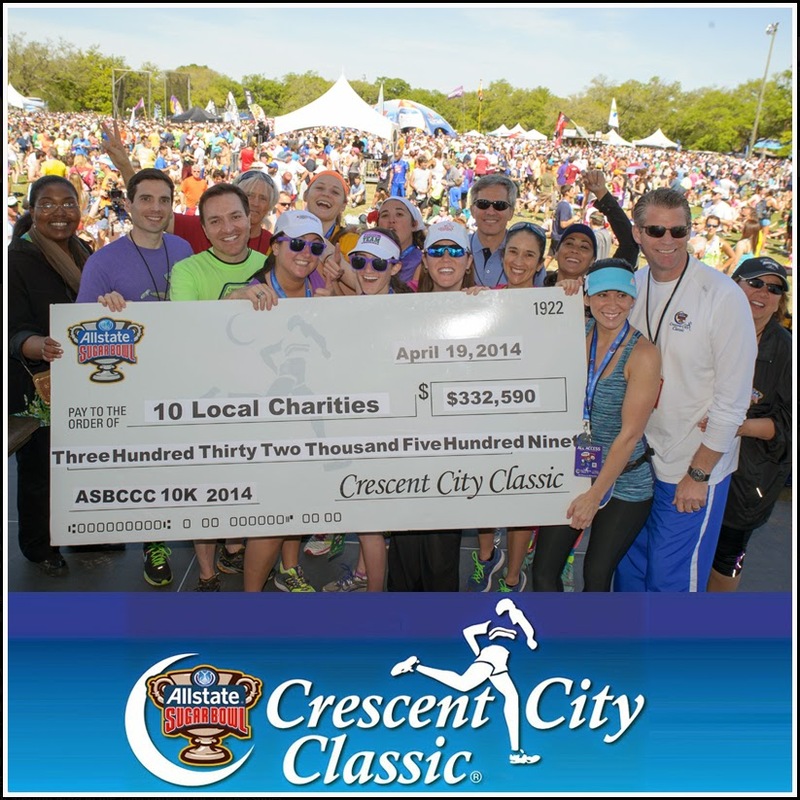 For more information on how to become a charitable partner of the Crescent City Classic, click HERE. Selected organizations will be announced later in August, and runner's who want to run for a cause on April 4, 2015 can start signing up this September.